All marketers, web designers and Search Engine Optimization experts need the best SEO tools to efficiently manage their SEO jobs and offer their clients a very best result. However, with this big list of Search Engine Optimization tools, it’s will be too tough to keep on track. Fortunately, I’m here to support you and help you! In this blog, I’ve compiled a gigantic list of 201 Best Search Engine Optimization tools. Whatever niche you have for your blog (fitness, make money online, finance, home decor etc.) or service website, both On-page and Off-page Search engine optimization pay a critical role. In this list, I have also included these SEO tools website links, a brief description, function, and whether it is free or paid SEO tools. If you or your client is interested in any of the below-listed SEO tools, I recommend you to click the link and visit that tool’s website to see in details about their offerings, services and packages. Also, at the bottom of this SEO tools list, I’ve given you a bonus package link for tons of additional Search Engine Optimization tools, that will definitely up to date and will work for you with advanced features. So, don’t overlook to check at the end of the SEO list!! However, before starting that, here in brief I have given the NinjaOutreach Tools Review for SEO. Below mentioned are the top three SEO tools Review, that you can primarily use for SEO campaign of your website. NinjaOutreach Premium – It’s a fantastic blogger outreach tool. You can start this with the 14-day Free trial. Ninja Outreach Lite– It’s Chrome extension absolutely FREE & also works without login to your NinjaOutreach Account. Here you will get TONs of high-quality data of each website such as SEO, first name, last name, contact information, and social channels data. Free Href Extractor – In this FREE Tools, you need to simply add your website’s URL, you can find and extract all of the outbound and inbound links. Perfect for running influencer outreach campaigns. READ MORE – Off-Page SEO for your Real Estate Website. Have a tool to be added In the List? Please Let me know in the comments! 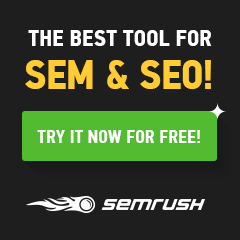 FREE SEO – START WITH A 14 DAY TRIAL! So, if you’re looking for more seo tools, including some new ones that have launched, I’ve compiled a complete SEO resource guide for you, that links to some articles & websites. These SEO tools are more active about adding the latest versions, study material, and Vidoe tutorials. Get a Complete Funnel for your website by simply Clicking Here. In case you want to design a website or want to start your one blog, click below for the world’s best theme. Hey Menka 🙂 Great article, but I would also add Nightwatch (https://nightwatch.io/) to the list of SEO tools. It’s one of the most advanced SEO trackers available on the market today 🙂 Give it a look. Nightwatch is really great for keyword research, backlinks, tracking and reporting. Thanks for the list. After reading this I have got to know about some new tools that we never tried. But I don’t know why you haven’t included KWFinder here. KWfinder is much better than Keyword tool. It offers in-depth search metrics.